Cheers to this Friday’s cocktail, an Old Pal. Now this one’s interesting. In my trusty 1964 edition of Old Mr. Boston De Luxe Official Bartender’s Guide, the recipe calls for Grenadine and doesn’t specify the type of whiskey. But nearly every other recipe I’ve seen cites Campari, rye whiskey, and dry vermouth as the key ingredients. 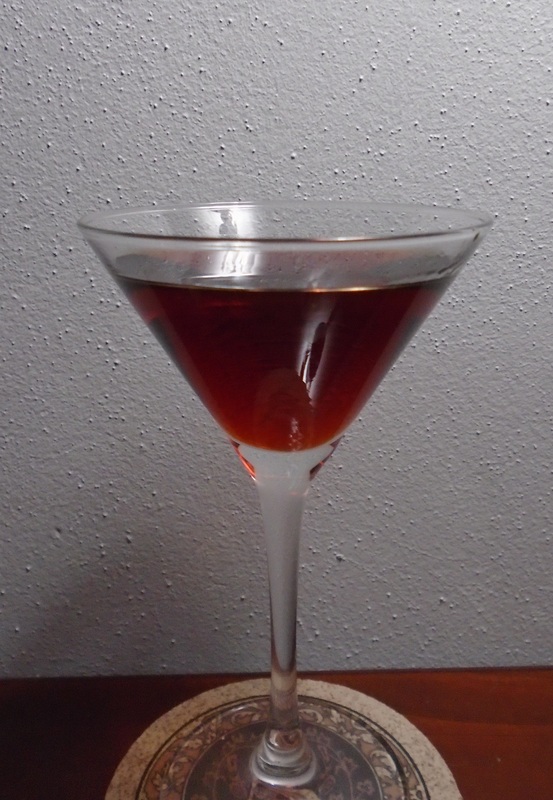 The former recipe yields a cocktail that’s—to all intents and purposes—a variation of a Manhattan with a sweet flavor. The Campari-based version is essentially a Negroni but with whiskey instead of gin. Regardless, the Old Pal dates back to the 1920s, appearing in the 1922 book, ABC of Mixing Cocktails, by bartender Harry MacElhone of Harry’s Bar fame. The original recipe suggests equal portions of the ingredients are used, but most subsequent versions vary this. Perhaps some of the confusion about this drink lays in the creation of the Boulevadier, another cocktail created by MacElhone. Likely a refinement of his earlier recipe, the Boulevadier swaps bourbon for whiskey as its main ingredient. In a shaker over cracked ice, pour in 1 1/4 ounce of your whiskey of choice and 1/2 ounce each of Sweet Vermouth and Grenadine. Stir and then strain into your cocktail glass. How I like it: Chilled is nice, but this one serves up quite nicely at room temperature. It’s even easier to add the ingredients directly into one’s cocktail glass and make a few rotations with a stirrer to blend it up. And I quite like this version. Campari, which in many respects is like bitters, had a stronger flavor than Grenadine. I did, however, up the proportions to 1 1/2 ounce of whiskey and about 3/4 ounces of sweet vermouth and Grenadine. Be a pal, drink responsibly! Thanks, Carol! Got to get busy on finishing up number three.